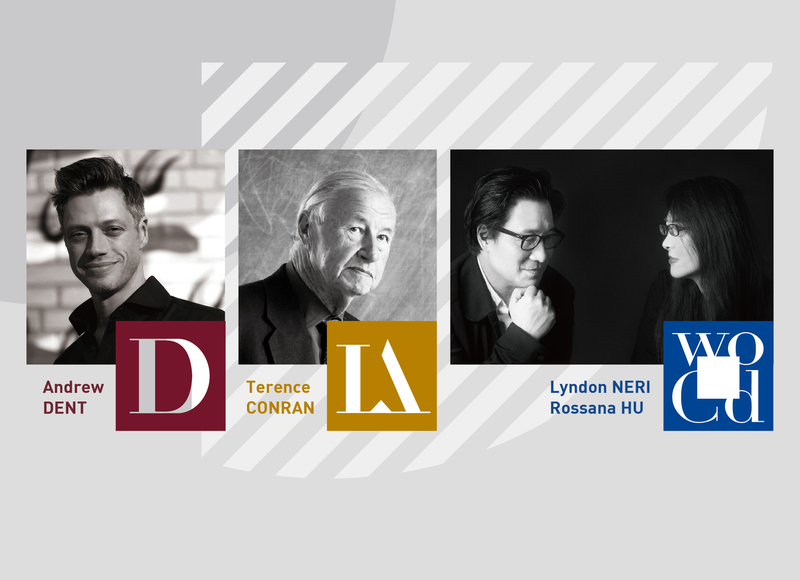 Today, the DFA Awards of Hong Kong Design Centre announced the 2018 recipients of the DFA Lifetime Achievement Award (DFA LAA), DFA Design Leadership Award (DFA DLA), and DFA World’s Outstanding Chinese Designer (DFA WOCD), the highest and most prestigious design honours of DFA Awards in the year. The DFA LAA is conferred to Sir Terence Conran, one of the world's best-known designers, retailers and restaurateurs. Concurrently, this year’s DFA DLA will honour Dr. Andrew Dent of Material ConneXion, a leading global expert in sustainable and advanced material research and development. The DFA WOCD will go to Mr. Lyndon Neri and Ms. Rossana Hu, architects and co-founders of Neri&Hu Design and Research Office. The three esteemed awards will be presented at the Business of Design Week Gala Dinner on 7th December in Hong Kong.